Odd question alert! What ever happened to Sanka? With Starbucks dominating the coffee industry for the past decade, somewhere along the line Sanka disappeared from the coffee advertising circuit. In fact, I don’t think I heard any advertising for any of the Instant Coffee brands as of late. Has our society grown too accustomed to the coffee houses that stirring up a quick cup of instant coffee is no longer appealing? Or was it that the instant coffees lost the taste that only fresh brewed coffees could offer? As one who doesn’t drink coffee, I cannot answer that, but maybe you can. Anyone seen or drink Sanka lately? Should I buy a cargo mat? For those of you who remember, I ended up buying a new car last year after having my last one for a decade. My new vehicle has a larger storage section in the back which came in handy when I was rebuilding my lawn (as noted in the “Adventures in Landscaping” section). 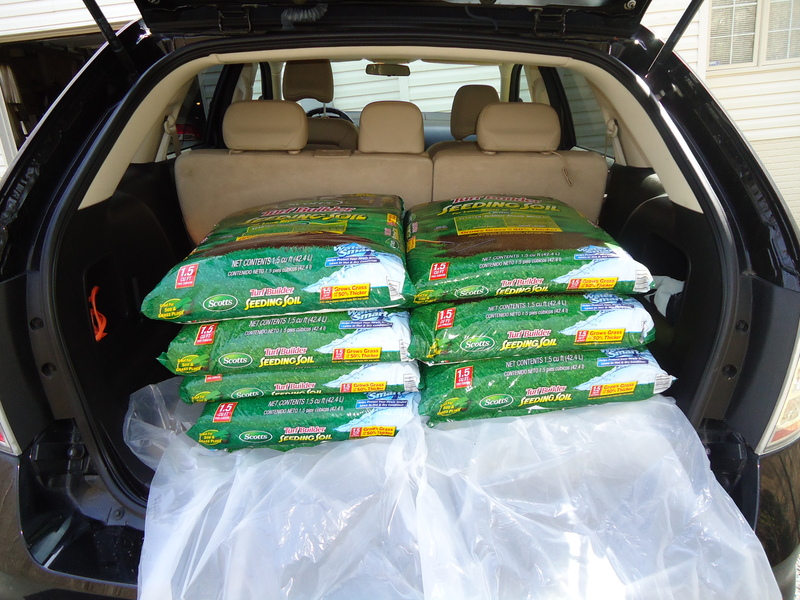 As you can see in the picture to the right, I was able to stack multiple bags of soil without having to find creative ways to slip it into the trunk – a problem I use to have with my old sedan. What you might also notice in the picture is that I was using a large sheet of plastic to protect the interior from possibly being stained by the new soil. Being a utility vehicle, it is likely that I will continue to use it to carry large (and possibly dirty) items over the next decade, so I want to make sure the interior lasts as long as possible. One of the things I’ve considered buying was a cargo mat for the trunk. Just as you would buy floor mats to protect from the constant wear and tear on the carpet caused by wet and dirty shoes, a cargo mat protects the trunk. When you consider in the case like mine (where the fabric is a light color), the odds are stains will appear over time. In fact, when I bought this car, the dealer had to do some extra scrubbing in the trunk since the car was originally owned by a car rental company. I haven’t settled on a mat yet, as my sheet of plastic seems to be holding up, but if I continue to haul dirt and mulch with my vehicle, it might be worth the investment. After all, $100 now might be cheaper than paying for upholstery cleaning a few times over the life of the car. What do you think? Have you ever wondered what happens to large commercial ships once they’ve become too old to operate? 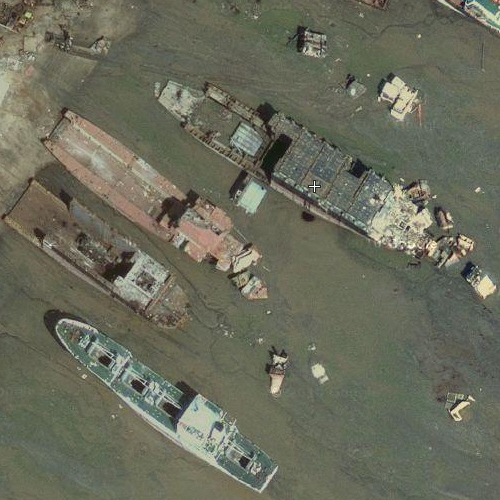 Unlike the Navy (who likes to sink their ships to make artificial reefs), commercial ships are usually sold for scrap. When this happens, the ships make their way to places like Alang, India. In Alang, ships meet their doom when they are beached. When the ship is emptied of cargo and important equipment, the vessel is placed on a direct course for the beach while at high tide. Once ashore, the workers at Alang dismantle the ship to recycle all the steel and other valuable materials for scrap. While the operation is very efficient, the Red Cross and environmentalists around the world complain about the ship breaking practices there in Alang. For starter, there is no full-service hospital within 30 miles from the beach (though the Red Cross operates a medical response facility there). Secondly, while these ships are empty of cargo and supplies, pollutants still find their way into the shores as the ships are taken apart. Despite the current issues surrounding the town and the practice, it is an impressive operation. Below are three items that demonstrate the process and scale of the operations in Alang. 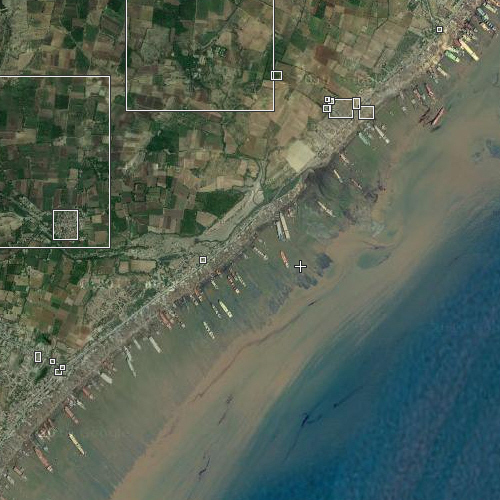 The first is an aerial view of the Alang ship-breaking facility. In this photo, you can see at least 70 vessels that are currently beached. The second is a video of a ship that is being beached. As you can see from the video, the vessel is empty, with the bulbus bow of the vessel riding high out of the water. Lastly, here is a close-up aerial shot of one of the ships that has already been partially stripped down. I “finally” have my desktop up and running again. It has been down for over a month after getting a nasty virus. The virus attacked the registry and made it impossible for me to launch any program directly. After a long time of trying to bypass the problem, I decided to call it quits and strip-down the system. Fortunately I was able to download the photos and files I wanted to save, so it wasn’t a total loss. For those who create these viruses, I seriously hope that they one day find their computers infected with their own malicious code. Karma and all that, you know. Happy Fourth of July! May you enjoy the day with family and friends. If you are traveling, I hope you make it to your destination(s) safely and with little traffic. Remember, take a moment to reflect on the sacrifices our Founding Fathers and all those that came after them made in order to create this wonderful nation. Continuing with the “Make Money Online” series, I want to help you get started with your web empire. As many of you know, I operate a few separate websites geared towards different interests. With web hosting fees continuing to drop all over the internet, it is becoming more affordable for individuals to stake out their claim online and share their opinions or promote their interests for others to see. I have come across a website that is offering 1 Year Free Website Hosting for anyone interested in starting their own website. This offer expires on September 30, 2010, so you still have time to take advantage of it. If you are interested, make sure you use promotion code VHP25589. If you want to start a website on kittens or candy, on airplanes or Aristotle, or anything else you can image, you have 12 months of free web hosting service to start up your site and cement your presence online. If you have an existing site, you can also migrate your site over for free. Remember to use the promotion code if you take advantage of this offer. You are currently browsing the MODU's Musings blog archives for July, 2010.